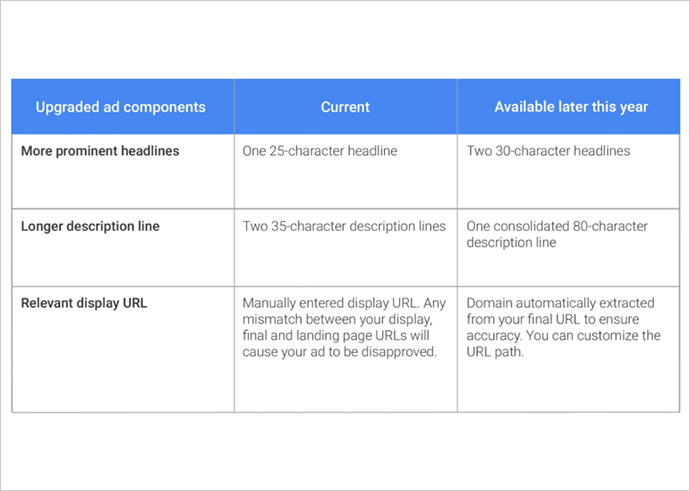 Yesterday, at the Google Performance Summit, the search engine giant announced some major updates for AdWords advertisers. Yesterday, at the Google Performance Summit, the search engine giant announced some major updates for AdWords advertisers. The announcement was made by Jerry Dischler, Vice President of Product Management and Sridhar Ramaswamy, Senior Vice President of Ads & Commerce. Before we talk about the updates, let’s first have a look at the current effectiveness of Google AdWords and the factors that offer the most needed boost in terms of economy. In 2015, Google’s search and its advertising tools were responsible for driving approximately $165 billion worth economic activity in the United States alone, which is indeed a big deal. Trillions of searches are being performed on Google.com, and more than 50% of these searches are carried out on smartphones.It is observed that around 1/3 of the total mobile searched on Google are location-based. Interestingly, these searches are found to be growing 50% faster than any other type of search query performed on Google. Ever since AdWords store was introduced around 2 years ago, more than 1 billion store visits were recorded worldwide. With that being said, how will the latest AdWords update benefit the users? The prime motive behind releasing the update is to help marketers and advertisers across the globe to succeed in the mobile-first world. In the new update, Google plans to redesign almost everything including the creatives, bidding and the workflow. Initially, Google had launched the Universal App Campaigns that helped app owners to reach out to a wider set of audience. All you have to do is just add a few lines of text, place the bid, provide your billing info and the rest is taken care of. Display ads will now be able to rightly adapt to the website content on which they are being displayed. These ads will blend with the style of the content they are added to. Creating these ads is easy. All you need to do is simply provide a headline, description, image and the related URL. Google will help you out with the rest. 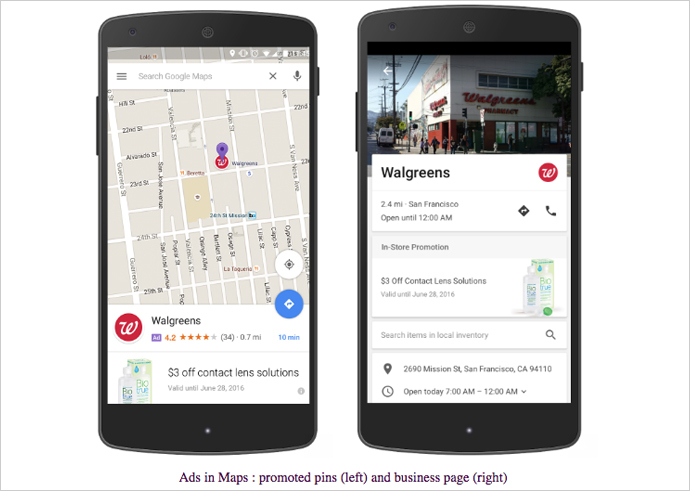 Google introduces a new local search ads model that will allow a specific business to show up on Google Maps whenever an individual searches for a related product or a service. For instance, if a user searches for a ‘book store’, some of the prominent books stores in the area will appear on the map. Finally, Google increases its ad text limit. So, in case you had a lot to talk about your product but didn’t quite have enough space, now is the time to party. The ads will have two 30-character headlines, 80-character description and a URL with a customizable domain path. By adjusting bids, you can keep a check on how much you spend and where your ad gets placed. 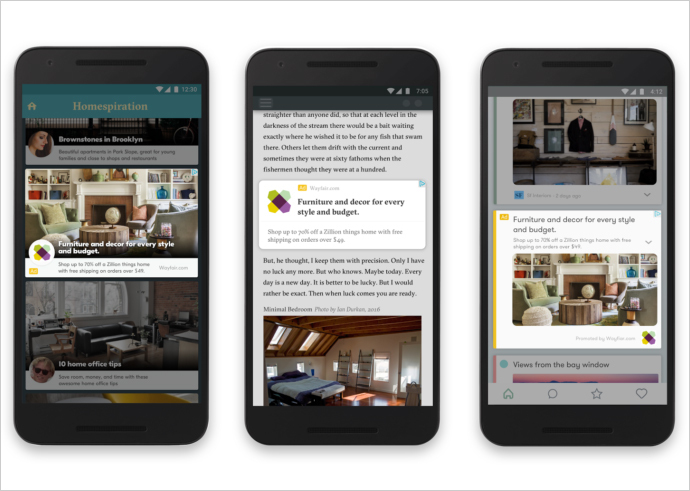 Google now allows advertisers to set individual bids based on device-types. As a result, you can now opt to bid differently for different devices. Moreover, you will be able to set bid adjustments in the range of 100 to +900%. Have more information, please feel free to share below in the comments?